- Will it be entertaining to everyone? - Will it be non-offensive? - Will it be audience interactive? - Basically, will I look like a hero for hiring this act? 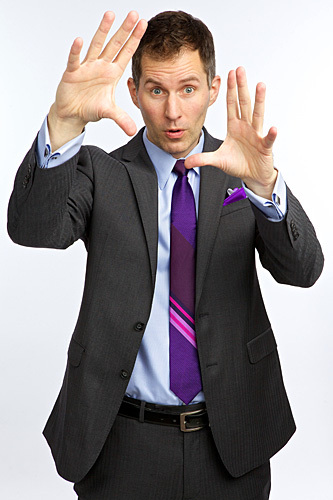 When it comes to Comedy Hypnosis with Rance Rizzutto, the answer is "YES!" That's fair. Let me elaborate. My sole desire is to have the audience walk away from a show feeling fantastic! Hypnotism comes with many fears and misconceptions. One of them being that the hypnotist gets all of their pleasure from forcing people to bend to their every whim and command (cue maniacal laughture)! Maybe that is the case with some, but my take is a little different. "Only dumb people can be hypnotized." "What happens if I get stuck in a trance?" All false, but all in people's minds. 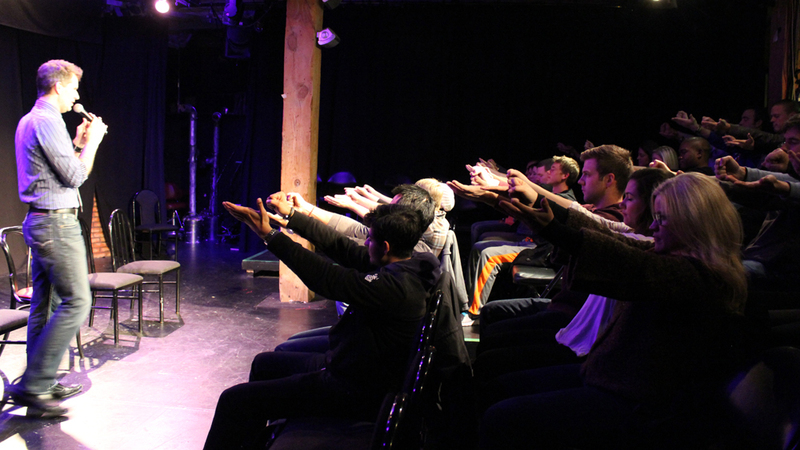 After putting the audience at ease, everyone will get a chance to experience what hypnosis is like on a small scale. It may seem like a tiny part of the show, but it give the opportunity of experiencing hypnosis to the people who don't want to be in the spotlight. Then it is time for the REAL stars of the show…the VOLUNTEERS! Once the volunteers come up, I make sure they are always confident, relaxed, and feeling great. The laughs aren't at the expence of the volunteers' embarrassment, they're with the volunteers or in awe of the wonderful state they're experiencing. When all is said and done, the volunteers will feel energized like they've just had a full night's sleep, and I make sure they leave feeling empowered. Join the mailing list to be one of Rance's TRANCERS, receiving first notice of upcoming shows!